Starting out early the next day our guide Oman knew of a place on the way to Jerash where you could get the best “falafel”, which were ground fava beans and chickpeas rolled into balls and then deep-fried, served with a container of a tahini-based sauce for dipping. As we continued our drive north I can honestly state this was one of the most delicious breakfast to eat as you viewed the scenery of the countryside of Jordan. 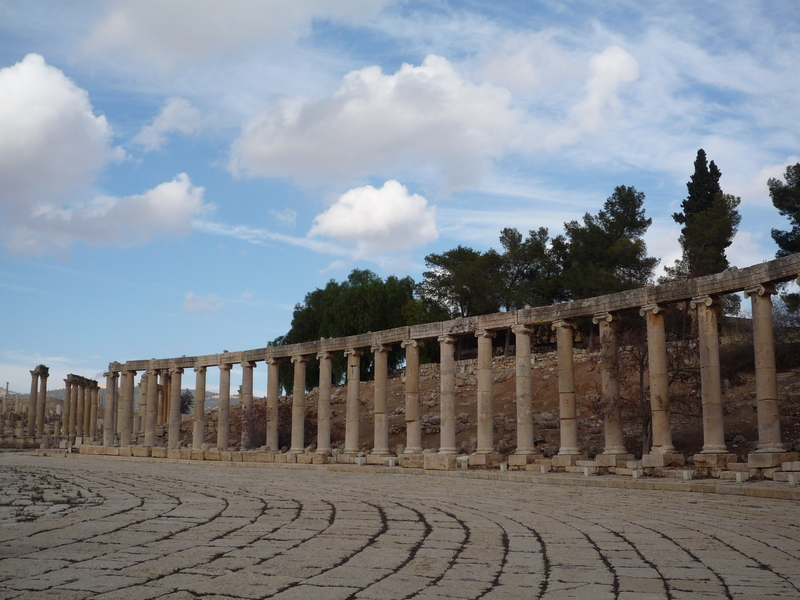 We drove about 50 kilometers or 31 miles north of the capital of Amman traveling towards the Syrian border where one of the best-preserved Roman cities in the Middle East is located. 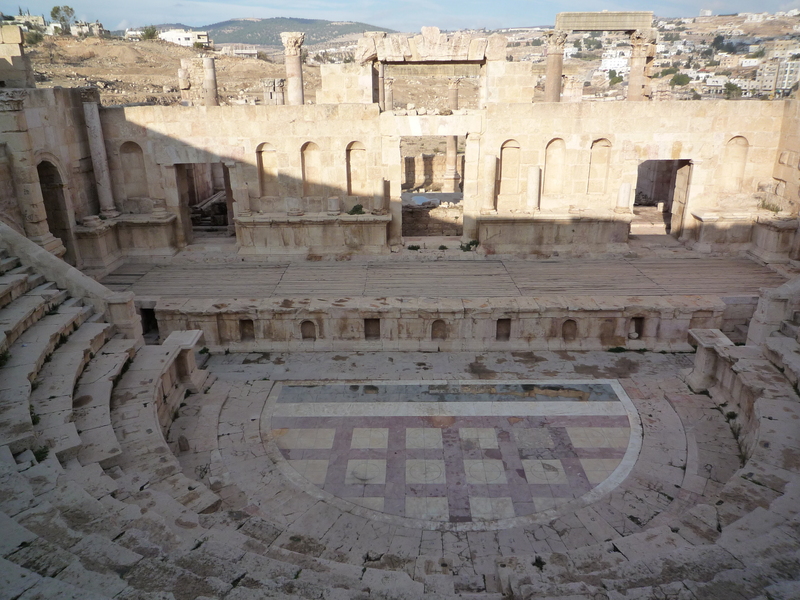 Jerash also known, as “Gerasa” was originally a Hellenistic town that was expanded upon by the Roman Empire. 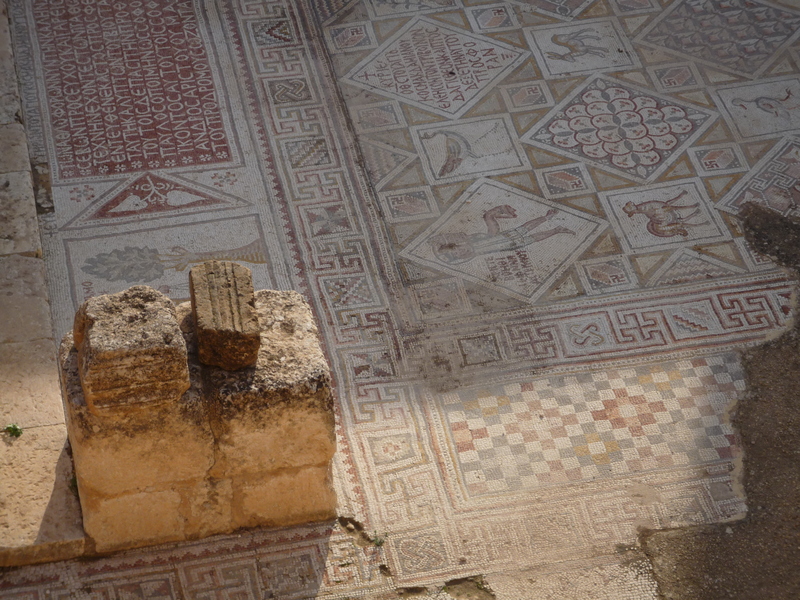 Most of the modern excavation and restoration taking place have occurred since the 1920s, and the majority of the site’s existing ruins are Roman public buildings and monuments, as well as several Byzantine churches with intricately detailed mosaics. 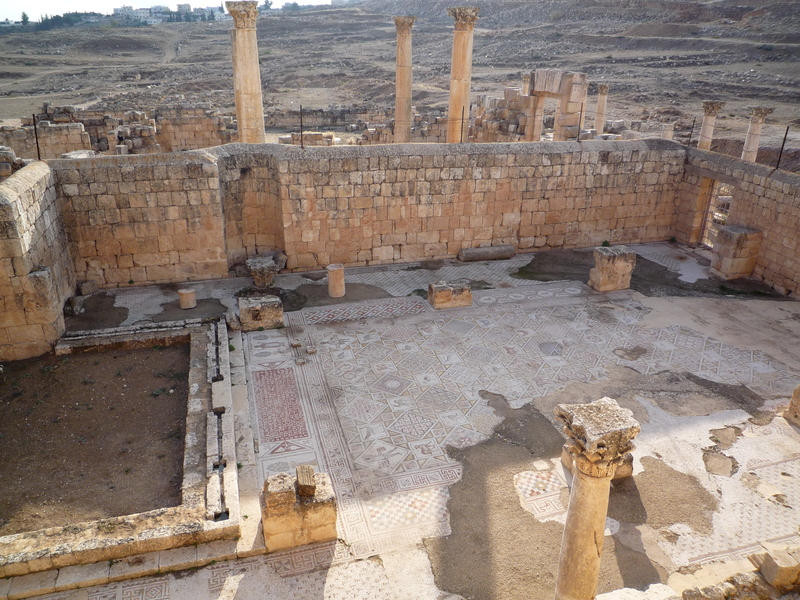 According to our guide the site was abandoned after a powerful earthquake in 746, but in the 12th century, crusaders briefly reoccupied Gerasa/Jerash and converted the Temple of Artemis and other structures into forts. Hello Stylish Heath. 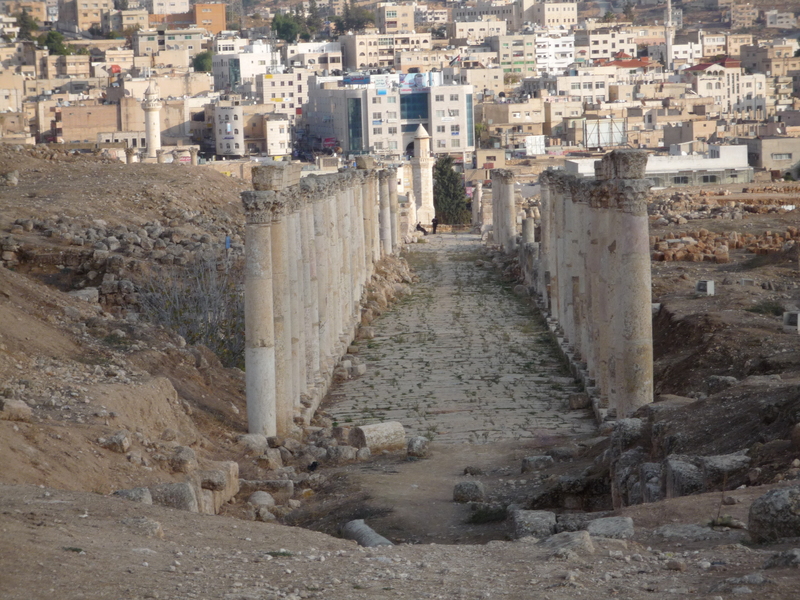 These are excellent photos of Jerash, Jordan. Wow…….The history behind each pic is too much for me to fathom. Beautiful and scenic countryside indeed. I really like the pic with you and your tour guide. You walkin’ the earth like Caine did in Kung Fu. Hahahahahaha. Thanks for the history tid bits. Love the post. 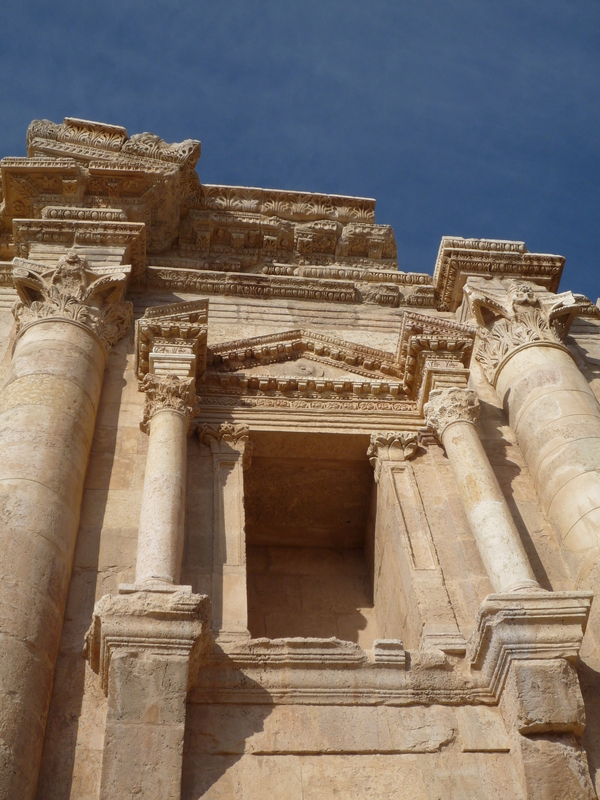 I am so pleased you enjoy the historical tid bits on the various countries. 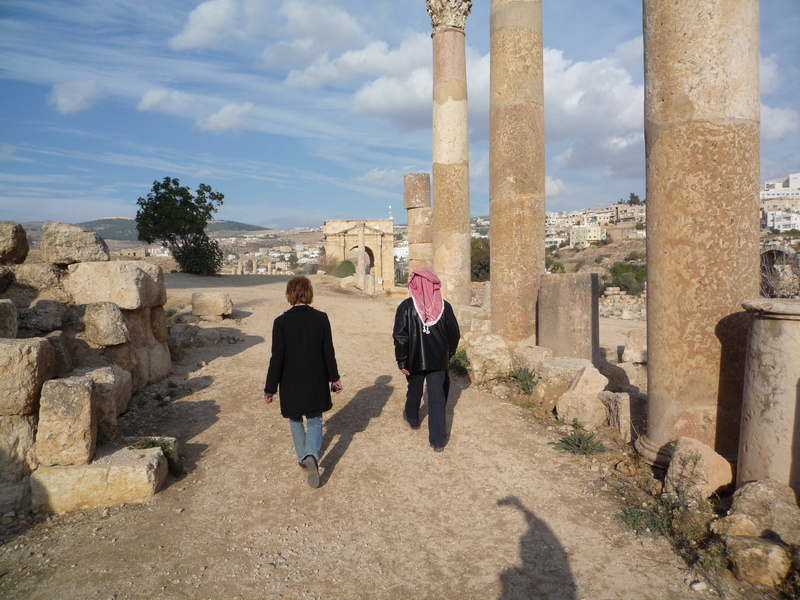 I learned so much about the culture of Jordan mostly from our guide, and from chatting with most of the people. Great pictures with an interesting side of history that you have served up Stylish Heath. 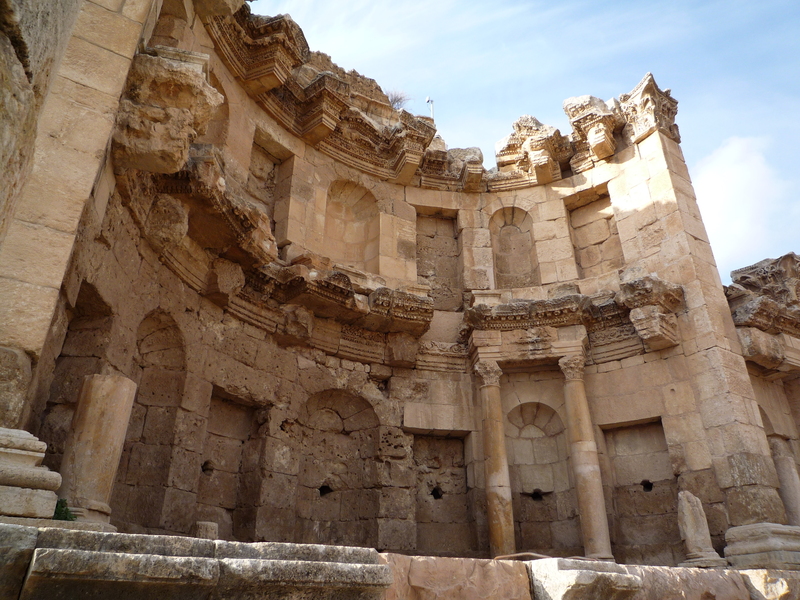 I’d really like to experience a culture that entails thousands of years to unfold. In reality we are mere toddlers here in America in the grand scheme of things. You travel well! 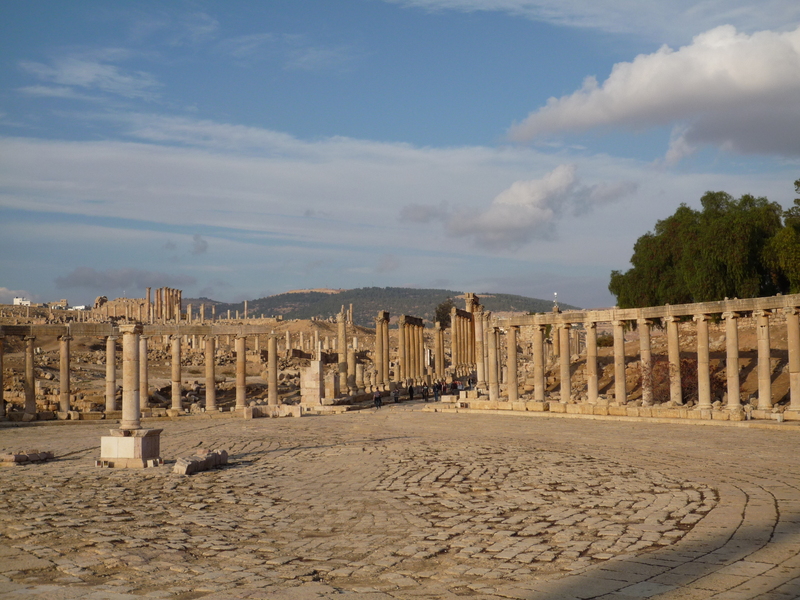 The majority of the people we spoke to were well informed about their history, especially in regards to the ancient Romans occupying Jerash several thousands years ago.